STONY BROOK, N.Y. – Stony Brook University director of athletics Shawn Heilbron knows a good thing when he sees one, even when it is with your arch foe. 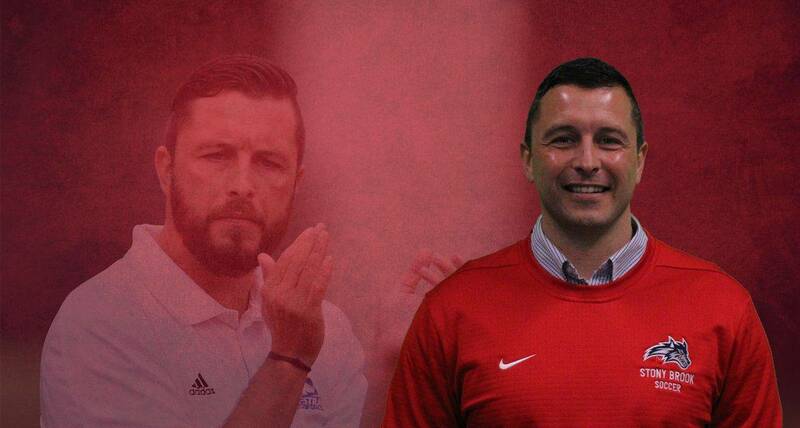 He hired Hofstra University women’s associate head coach Tobias Bischof as the Seawolves’ new head women’s soccer coach Thursday. The Seawolves play Hofstra in a Battle of Long Island every fall. Bischof succeeds Brendan Faherty, who was named Yale women’s head coach Dec. 20. He has spent the last eight seasons with the Pride, the last four as the associate head coach. 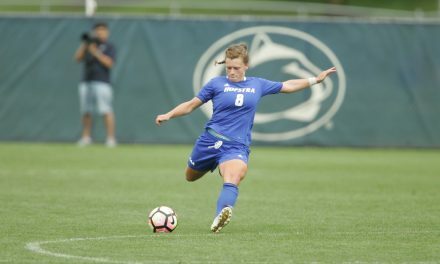 Bischof helped guide Hofstra to the NCAA Division I tournament four times, including this past fall when it posted a 16-6-1 overall record and recorded a first-round victory over 22nd-ranked Boston College. The Pride also advanced to the Division I ournament in 2012, 2015 and 2017. During Bischof’s time there, Hofstra compiled a 98-53-12 record and registered a winning season in every campaign. Bischof also helped the Pride become one of the top academic programs in the CAA. 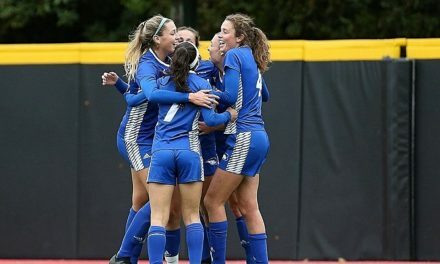 In 2017-18, Hofstra Women’s Soccer earned a CAA Team Academic Excellence Award as the women’s soccer program with the best team grade-point average in the conference. The team also posted a department-best 3.68 GPA in Spring 2018. Under Bischof’s guidance, Madeline Anderson was named a United Soccer Coaches Academic All-American. In the summer of 2015, Bischof directed Massapequa Arsenal to the McGuire Cup as the national champion in the Boys Under-19 division at the U.S. Youth Soccer Nationals in Tulsa, Okla. The McGuire Cup has been contested since 1935 and is billed as the oldest trophy in youth sports. Bischof came to Hofstra in 2011 after a decade of prominent involvement in Long Island soccer, particularly at the youth level. A well-respected coach, Bischof has coached in the Elite Clubs National League and in the U.S. Club Soccer National Premier Leagues, where he took a U-16 boys team to the national final in 2012. Bischof had success with his youth programs, leading two U-15 teams – the East Meadow Sparks U-15 Girls and the Massapequa Arsenal U-15 Boys – to state championships in the New York State Open Cup during the summer of 2011. He has coached winners of six state cups and guided 11 teams to the state finals between 2006 and 2016. In 2018, he had two teams reach the national playoffs, with his U-16 team winning the ECNL Showcase Cup. He has also coached in the Region 1 Premier League and North East Regional Premier League. Bischof has run a select coaching program to prepare athletes for collegiate soccer; helping to place dozens of his youth players into college programs. He served as the Select PDP program administrator for the Long Island Junior Soccer League, a program that included more than 500 players. A native of Winterstein, Germany, Bischof played soccer in his native country after graduating from high school. In 1997, he enrolled at Friedrich-Schiller University in Jena, Germany, where he earned a master’s degree in sports science, finishing in the top 10 percent of his class. He also coached youth soccer in Germany, primarily with 16- and 17-year-olds, before coming to the United States. Bischof moved to Long Island in 2002. He worked with the Long Island Rough Riders of the Premier Development League after Globall Soccer purchased the team.